'KIIS FM' spilled info about a new BTS billboard found in the Hollywood area. Based in Los Angeles, the hit radio station '103.5 KIIS FM' took to Twitter to "finally" spread the word about a mysterious billboard footage in Hollywood that says 'BTS'. But, the video from the digital screen presents nothing else, which naturally made more ARMYs buzz with curiosity. 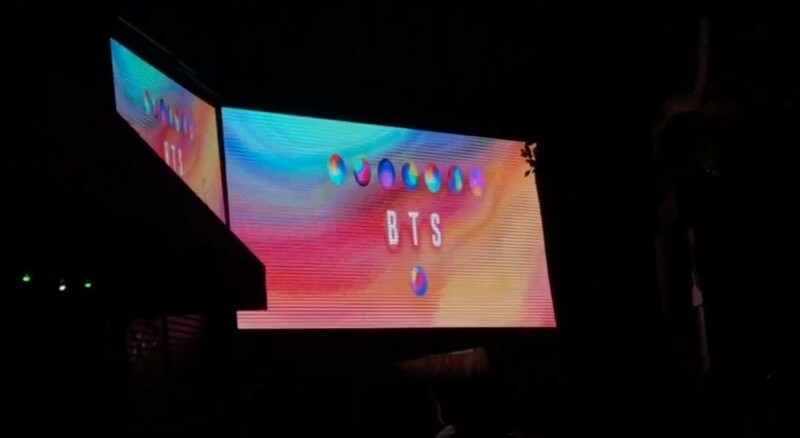 The few seconds of the clip merely shows the letters 'BTS', along with seven circles and colorful effects surrounding it. On Twitter, 'KIIS FM' allegedly suggested that it might mean "new music", that "more info" may come out soon. Until the discovery of the real footage, heaps of ARMYs were in the hunt for the physical billboard near the area. With the hashtag #TheGreatBTSBillboardHunt, 'KIIS FM' eventually retweeted a video of one fan who had captured a video of the actual billboard. What all this could mean?